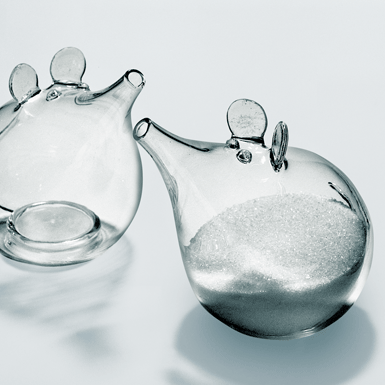 A Swiss-glass blower invented it: the sugar mouse. Highly popular, although we still really do not like mice. You fill up with sugar through the closable hole in the base. You pour the sugar through the pointed snout.